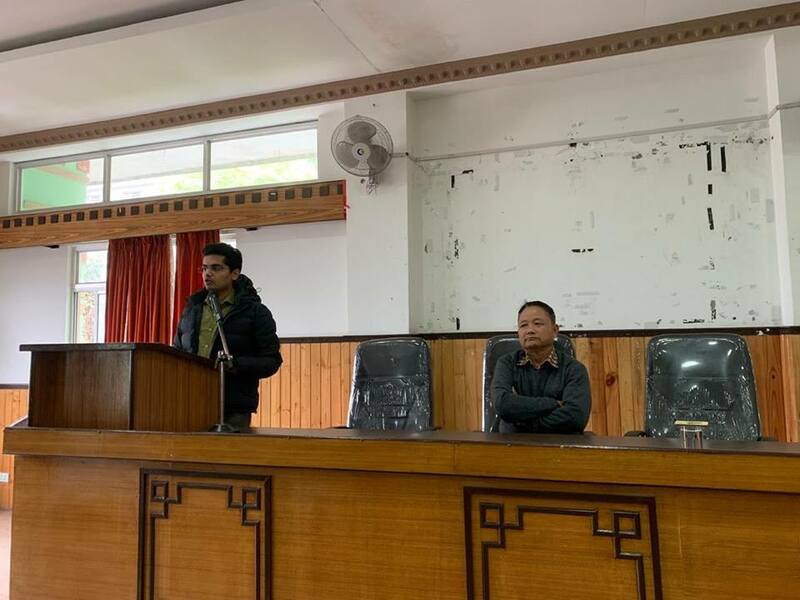 Gangtok, 6 April (IPR): Office of the District Election Officer/East has taken an initiative to involve Anganwadi workers in creating awareness under SVEEP. Under this, Anganwadi workers will visit every household under their jurisdiction on April 10 and 11. On the first day, they will take signatures of voters on a pledge sheet thereby, exhorting electors to cast their votes on April 11. They will also inform the Electors about the importance of casting a vote. On the second day, these workers will again visit the same households to verify if the voters have gone to the polling stations to cast their votes or not. If found that Electors have not gone to cast their votes, they will request and persuade them to do so. A training for these workers was conducted today at the Conference Hall of the SJEWD, Lumsey by Shri. Rohan Agawane/Assistant Collector in association with the Nodal Officer from SJEWD, Shri. Garjaman Subba. This training was attended by 112 workers in two batches who actively participated by interacting with the resource person and also getting their doubts clarified. In addition to this, Voluntary Identity Cards and Pledge Sheets were distributed to the participants. The workers seemed enthusiastic and excited to be part of this initiative.